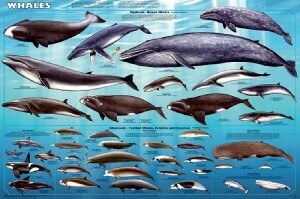 How many species of whale and dolphin are there? Where have they come from? How do they socialize and behave? Cetaceans are the collective name for all whales, dolphins and porpoises who between them form a single group known as an order. It’s a huge group comprising approximately 78 species, so let’s break it down. 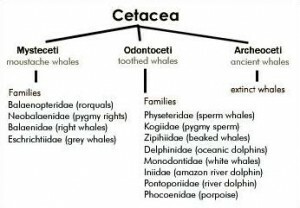 To begin with, cetaceans can be divided into 2 categories; baleen and toothed. Baleen plates or whalebone, are comb-like bristles that hang from the upper jaw of most large whales and allow them to filter-feed. 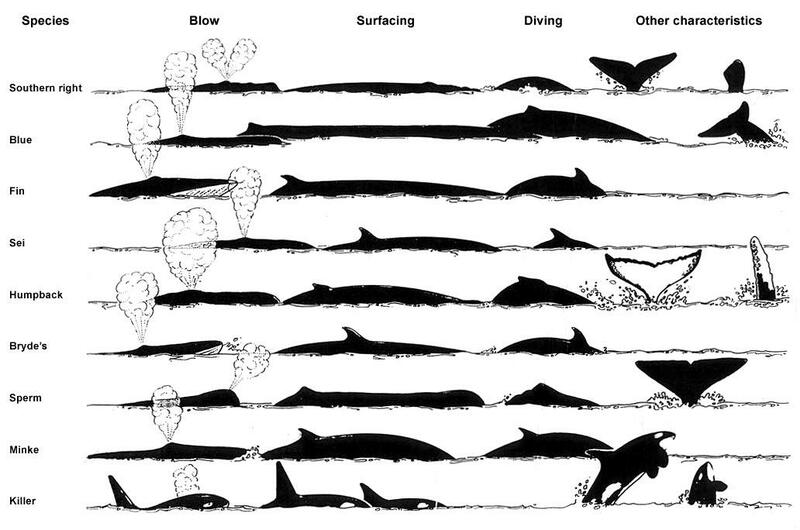 When baleen whales open their mouths, water and prey such as krill or small fish upon which they feed pour in. The water floods back out but the baleen filters out the prey for the whale to then swallow. 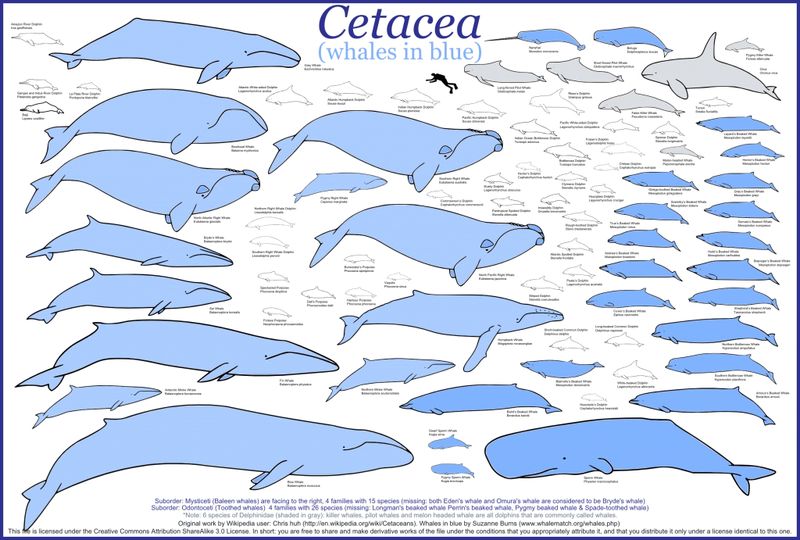 Blue Whales, Humpback Whales, Gray Whales and North & South Right Whales are all included in this group. 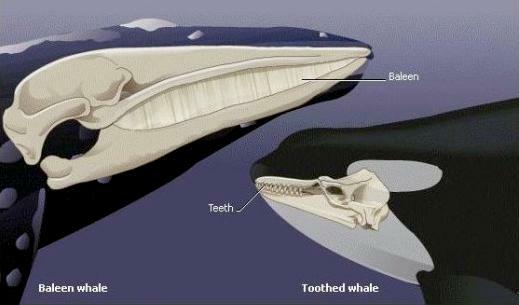 The vast majority of whales and dolphins however, belong in the toothed category and they feed on prey in a similar manner to most carnivores. These include the beaked whales, the dolphins and the porpoises. The Sperm Whale also sits here (the only large whale in this category) as do the Beluga Whale & Narwhal. The dolphins form the largest group which includes the Killer Whale as well as the Long & Short-finned Pilot Whales. Marine dolphins can be found all around the world, varying in size and coloration, but rarely coming closer inland than bays or estuaries. There are a few species of freshwater dolphins however, which are found in some of the largest of the world’s rivers. Sadly, the Yangtze River Dolphin was declared functionally extinct in 2007. 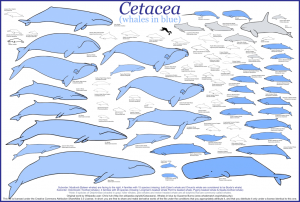 Beaked Whales are the least known of all cetaceans, as they principally lead their lives in deep waters. There are at least 20 different species in all. The porpoises are distinguished from dolphins by their stubbier beaks and flatter teeth. Dolphins tend to have prominent, elongated “beaks” and cone-shaped teeth, while porpoises have smaller mouths and spade-shaped teeth. The dolphin’s hooked or curved dorsal fin (the one in the middle of the animal’s back) also differs from the porpoise’s triangular dorsal fin. 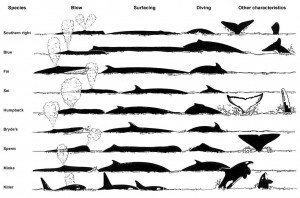 With such a wide range of skills, feeding habits, behavioral patterns and more, there’s a whale, dolphin or porpoise to suit virtually every aquatic environment on the planet. To give the well-known phrase a twist, no whale or dolphin is an island. These marine mammals are in fact highly social, sometimes forming super-pods of 1,000 individuals or more. These wide-ranging communities or societies are not just for company either. They are built upon complex structures and levels of interdependence that can only be forged from the strongest of social bonds. In some dolphin societies for example, groups will stay with injured or sick individuals, even physically supporting them to the surface if necessary so that they can breathe. Roles are very important in whale and dolphin societies. Older individuals often act as surrogate parents or as guardians of crèches, so that responsibilities can be shared around a group. Feeding systems, migratory patterns, group play and much more are all based on these strong social systems. Communication is vital in all these circumstances and whales and dolphins have developed some of the richest languages known. Clicks, grunts, whistles, calls, songs and more of extraordinary variety provide them with extensive vocabularies that cover all situations. Scientists are still trying to unravel the complexities of these languages and it will be a long time before we are even close to understanding the full range. One thing is certain: it is only within the heart of their communities that whales and dolphins can lead their lives to the full. There are many mammals that spend time in the water. Seals, Sea Lions, Walruses, Platypus and many more are capable of prolonged periods swimming above or below the surface, but all of them come onto the land. 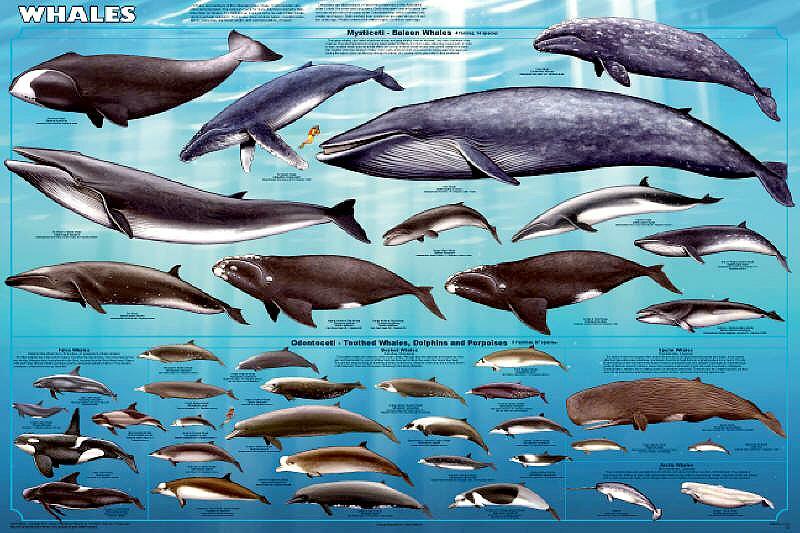 What makes whales, dolphins and porpoises different to all of these is that they live entirely in the water. Unsurprisingly therefore, scientists were rather baffled for centuries. Why on earth would a mammal which needs to breathe air and which has a bone structure including vestigial limbs that would suggest land-based movement, have evolved in an entirely aquatic environment? Why on earth was the question that eventually became its own answer. Originally, it was thought they were related to an extinct group of carnivorous hoofed mammals, which had teeth similar to those of whales. 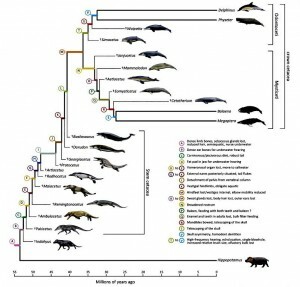 In recent decades however, a remarkable animal called the Pakicetus has been discovered, which had similarly positioned and shaped ear bones to modern whales as well as similarly arranged teeth. 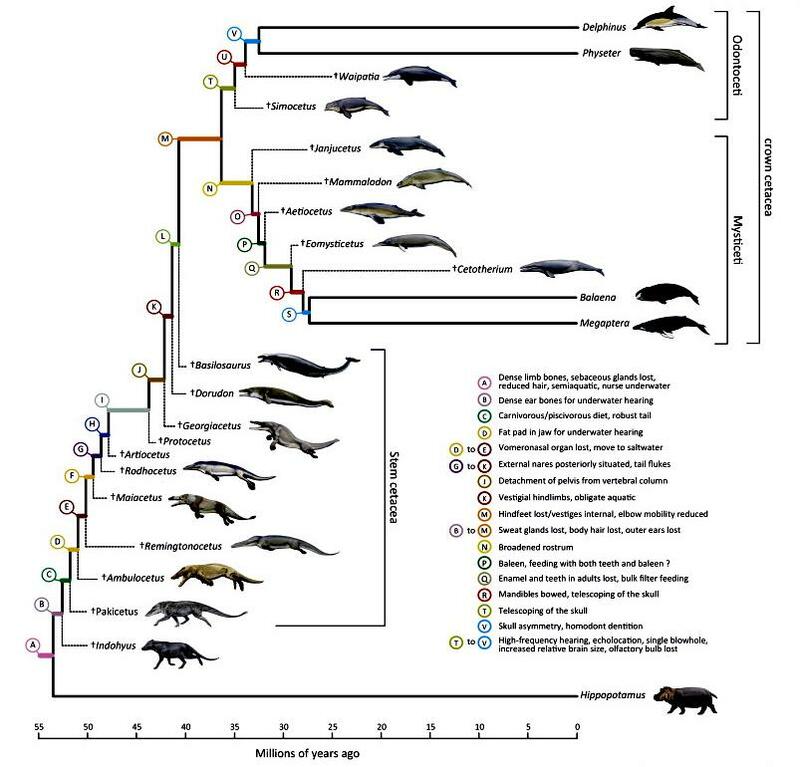 Many of the 40-50 million year old fossils of Pakicetus have been found near water bodies and it is now thought that they were aquatic mammals, forerunners to the whales and dolphins themselves. The fact that the modern descendants are carnivorous suggests that they found an unchallenged niche in the water and stayed there, steadily evolving until they no longer needed their land-based abilities. In fact, it’s believed by many that the closest living relative to whales and dolphins is another mammal that spends much of its time in the water, the Hippopotamus. If you’ve ever watched whales or dolphins out at sea or even just seen photographs of them, you’ll know that there’s often much more to look at than just a fin poking out of the water. Heads, tails, sometimes entire bodies are thrust above the surface in a glorious mixture of behaviors each of which signifies something special. Perhaps you’ve seen dolphins swimming along the pressure wave caused by a boat: this is known as “bow-riding”, which must be great fun for them. At quieter times, they might be seen “logging”, the term given to floating on the water’s surface, a great energy-saving position. Then there’s “lobtailing” sometimes known as “tail-slapping”, which is just what it describes: a hard smack of the water by a whale’s fluke or tail. One of the reasons this might be done is in order to cause a loud sound to stun or confuse prey. When the other end of the body appears – i.e. the head – for a good look around, then this is known as “spy-hopping”. The most exciting sight to see above the waves and the one that most people love to catch on camera if possible, is “breaching”. Humpback Whales are particularly fond of leaping clear of the water in this way and there are a number of theories as to why they do it. It could be to dislodge parasites, it could be to create a similar effect to “lobtailing”, it could be an element of communication within social groups… or it could quite simply, be the sheer pleasure of exuberant play. The Narwhal’s tusk is in fact a canine tooth that can grow up to 3 meters in length. It is thought to be a symbol of sexual power within males rather like a Lion’s mane, helping to establish rank within hierarchies. Sperm Whales can dive to a depth of around 3 kilometers (9842.5 feet or 1.86 miles) beneath the ocean’s surface, staying submerged for up to two hours. What are they doing down there? One of their favorite foods is the Giant Squid, which lives in the vast depths of the ocean. Occasionally Sperm Whales are seen with scars obtained from their deep-sea battles with Giant Squids. There’s a species of toothed whale called the Perrin’s Beaked Whale and rather remarkably, no-one has ever knowingly seen a live one. In the 1970’s, a few dead individuals were discovered washed up on the Californian coastline and were identified as other species. Later DNA testing of them, revealed that they were in fact a completely new species to science and they were given the name after cetologist Dr. William F. Perrin who first discovered them. No one has positively identified one in the wild since and no photographs are known to exist. All toothed whales including dolphins and porpoises have a melon. This sounds rather an odd statement, until you realize that “melon” is the term given to a fatty organ in their forehead which is thought to be used to aid echolocation. In some species such as the Beluga Whale, the melon can cause a pronounced cranial bulge. Beluga Whales are often known as “sea canaries” because of their high-pitched twitter. The large whales known as rorquals all have pronounced grooves that run from their mouths and along the underside of their bodies. These grooves, which are actually folds of skin, enable the mouth to widen in huge gapes when feeding. The word “rorqual” itself actually comes from the Norwegian for “furrow whale”.